higher (+5%) than in August last year. The main decline was in imports from China and Canada. were 25% higher compared to the same time last year. all three countries were lower than in August 2013.
following the high import levels earlier in the summer. 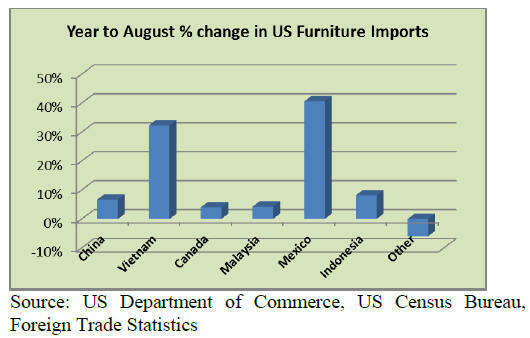 Imports were worth USUS$17.7 million in August. 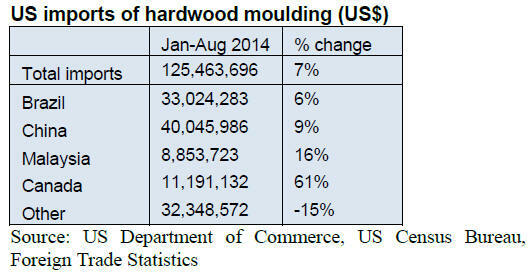 hardwood moulding shipments to the US in August. worth US$5.0 million in August, down 4% from July. but year-to-date imports remain higher than in 2013.
year-to-date imports were 12% lower than in August 2013. August, but were almost 50% higher year-to-date. 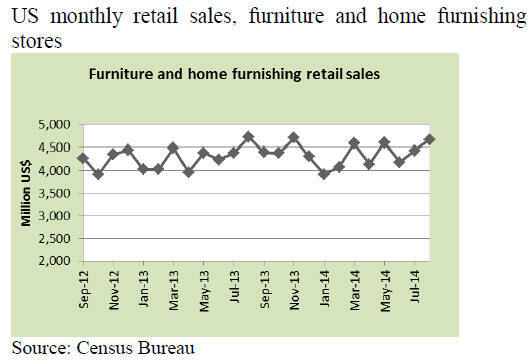 imports were 9% higher than in August 2013.
imports of wooden bedroom and kitchen furniture grew. shortages and concern about geopolitical conflicts abroad. Most households expect higher incomes in the year ahead. improvement will continue to be moderate. than at the same time last year. according to the National Association of Realtors. down from 16% last month. first-time buyers in total homes sales was 29% in August. mainly in permits for multi-family construction. Manitoba due to improving economic conditions. been increasingly replaced by flooring imports. in the market in both Canada and the US. compared to solid hardwood flooring. 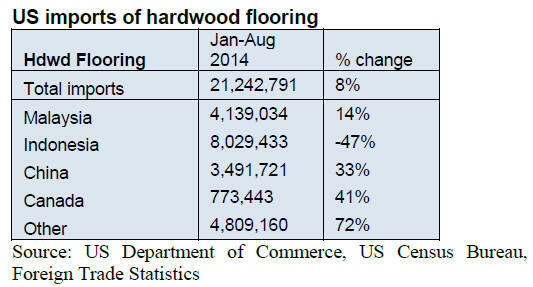 flooring still dominates this market. 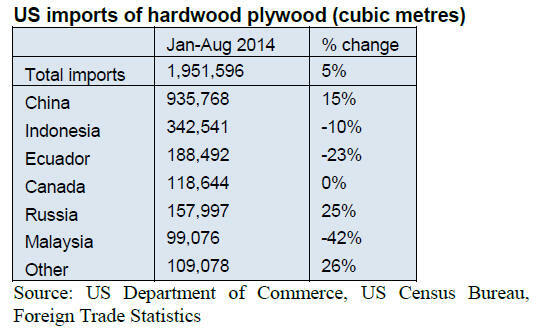 import and sale of illegally cut timber. 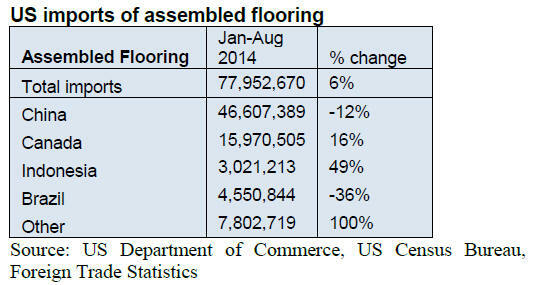 flooring made in China (see following story). does not have similar regulation.